Curtains offer a certain softness to a room. Today with so many varieties of fabrics to choose from that will suit both contemporary and classic-style homes. We have a full range of decorative fabrics available at our Gold Coast supply warehouse ranging from sheer, soft drape and solid fabrics. Our fabrics are purchased from Australian fabric suppliers ensuring suitability for Australian conditions, quality control and repeat product availability. All our curtains are all made locally from highly skilled manufacturing staff. The curtains can hang from either hand drawn, cord drawn "S" Fold/Ripple Fold curtain tracks either hand drawn, cord drawn or motorised using all the latest componentry. As the curtains are custom made to your own specification, pelmets can be mixed and match to suit your décor. 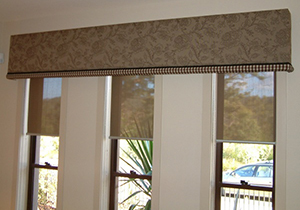 Our Holland blinds, awnings and curtains can all be motorised. The motors and Componentry we use in motorised blinds, awnings and curtains are made by Somfy. Somfy are the world market leaders in this technology and we update our knowledge of the product every year. For our Holland Blinds and awnings we use the latest motor with an inbuilt remote sensor. This means the detection devices for the radio controlled unit are within the tube of the blind/awning. The motors come with a five (5) year warranty from the date of purchase. 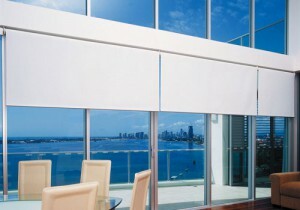 The blinds, awnings and curtains will operate from a sophisticated Telis Silk hand held remote control. The Radio Technology eliminates the need for cables between the motor and the control unit, which will reduce any disruption to your home and enables easy installation. There is only the necessity to get 240V power supply above the area from a licensed electrician. The Somfy Glydea curtain track system is quiet, discreet, flexible and robust, offering personalised solutions to improve the image, usage and functionality of your venue. At Go Blinds & shutters we also supply and fit window coverings to the commercial sector including schools, office and nursing homes. 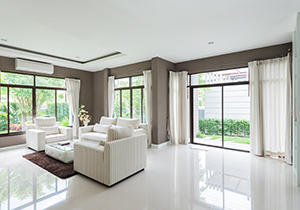 Quotes can be done from plans as well as advice for suitability of window coverings regarding thermal stability. 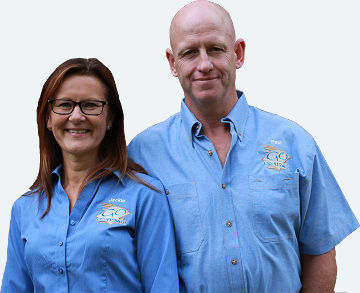 For the most comprehensive range of blinds, shutters and curtains, our Gold Coast and Brisbane team can match any style to suit your budget. 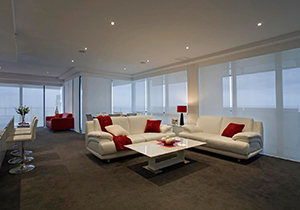 Pelmets add the finishing touch to your window coverings on the Gold Coast. Pelmets can be made with either a custom paint finish to match your décor or as an upholstered padded pelmet from a fabric of your choice.